A coalition of 25 local governments — including the city of Clovis — has filed a lawsuit against the California Bureau of Cannabis Control. They hope to strike down regulations allowing delivery of commercial cannabis statewide. The Clovis City Council decided at a special March 11 meeting to join the lawsuit, a city official said. Minutes for that meeting have not been posted publicly. “I am in complete agreement with this lawsuit. 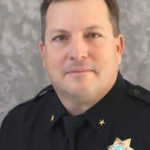 Each community should be able to decide on their own how they chose to deal with the legalization of marijuana,” Clovis Police Chief Matt Basgall said in a statement released Friday. Covina City Councilman Walter Allen III said in a statement Friday that the bureau’s actions burden local governments in jurisdictions that have regulated or banned commercial cannabis deliveries. In addition to Clovis and Covina, the plaintiffs include Santa Cruz County, Agoura Hills, Angels Camp, Arcadia, Atwater, Beverly Hills, Ceres, Dixon, and Downey. Also participating are McFarland, Newman, Oakdale, Palmdale, Patterson, Riverbank, Riverside, San Pablo, Sonora, Tehachapi, Temecula, Tracy, Turlock, and Vacaville. The lawsuit alleges that BCC Regulation 5416(d) is invalid because it eliminates the ability of cities and counties to regulate commercial cannabis deliveries within their communities, a promise made in Proposition 64, which legalized commercial cannabis activities in California. Click here (https://simplca.com/s/SIMPL_complaint.pdf) to read the complaint.